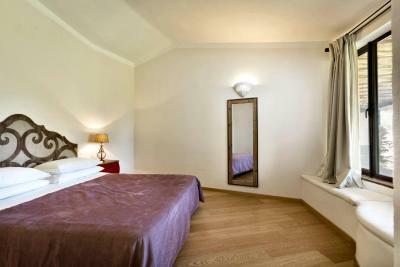 Lock in a great price for Stazzo Lu Ciaccaru – rated 9 by recent guests! The only thing that was really nice was the landscaping, and the help of Franceska! We had an unbelievable time! 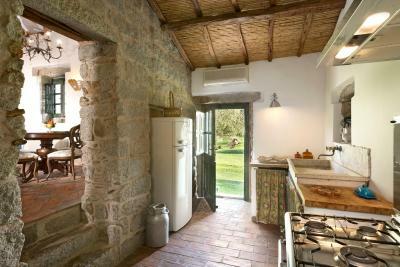 The place is amazing, a beautiful Italian countryside property, fully equipped according to international standards. 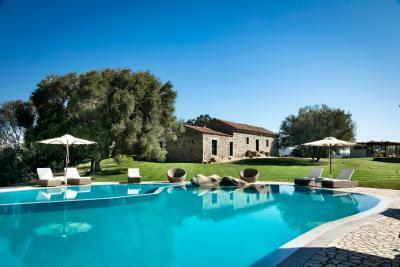 Conveniently located 15-30 mins away from Porto Cervo, Porto Rotondo and the best beaches of Costa Smeralda. 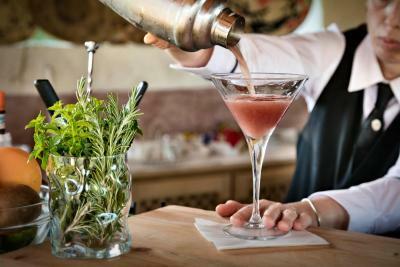 The staff is super friendly, the food / cocktails delicious and prepared with lots of dedication. 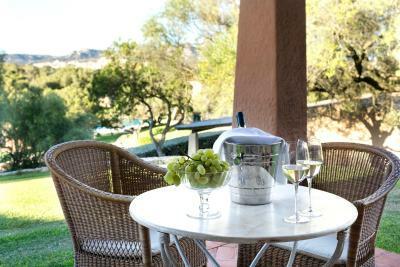 Ideal for couples and families looking to relax. A huge beautiful property you won’t want to leave. Tranquillity at its finest. Staff always went of of their way to make you feel at home. Geraldina, the owner was always present to make sure guests were comfortable. 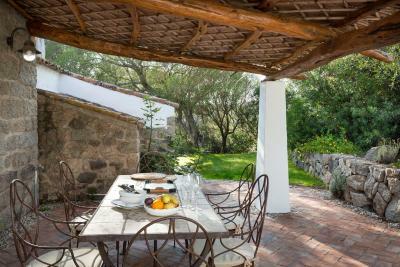 Breakfast was big and bountiful and the restaurant offered deliciously prepared Sardinian cuisine. Rooms were clean and spacious. 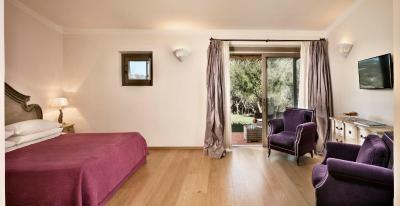 (we had one of the junior suites) Great location for day trips and enjoying the beaches of Costa Smeralda. Buonissimo! 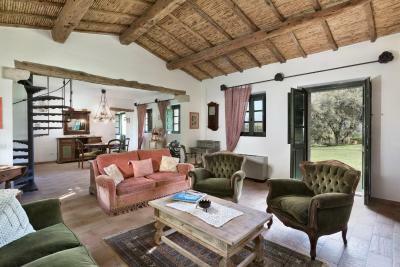 We were quietly and graciously upgraded from a suite to the original farmhouse from 1850. 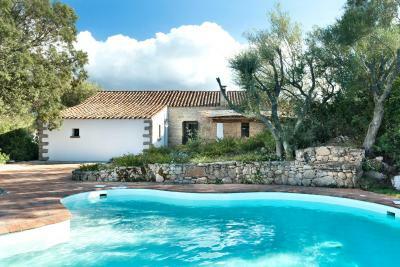 Delighful 2 bedroom stone farmhouse converted into a spacious home with our own private patio and pool with terrific views of Arzachena!! Fantastic staff, especially Franchessca, Andrea & Natasha! Extremely friendly staff. Tranquility of the hotel. Lovely hotel. Very quit en comfortable. great views great breakfast Lovely pool. not the most important: but the soap/showergel/shampoo in the hotel is very nice! the restaurant of the hotel is very nice too. one of and not overpriced like in other hotels. Definitely recommend to have diner in hotel as well. We got a free upgrade from a suite to a vill (Pagliano), with could easily fit 6 p instead of 2. The pagliano was so lovely. But even if we wouldn't have received the upgrade i would still give the hotel a 10! 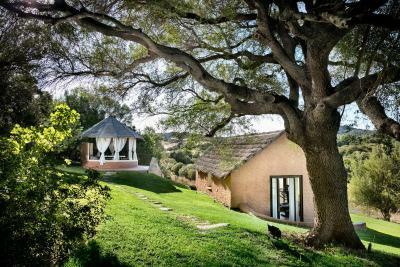 The location, the staff, the breakfast, the tranquility, the pool, the views and the restaurant, all of these were on-point and the best we had in Sardinia. We will definitely be back! This hotel exceeded our expectations. Excellent customer service and beautiful setting especially the pool area. Excellent hotel in fabulous location Staff friendly and efficient Food great and good variety Not even that expensive all things considered Go you will love it! Being upgraded to a superior suite ! Lovely setting and pool environment. Staff were really nice & welcoming especially Aldo at the bar ! Tea and coffee making facilities in our room along with fresh fruit selection which was a nice touch. Comfortable memory foam bed. The location is a short drive from all the beaches/coastal towns in the area and is of a much higher standard than a lot of the accommodation we looked at located in the actual resorts. 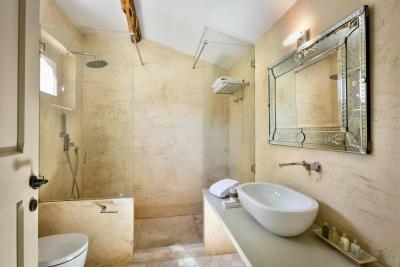 Stazzo Lu Ciaccaru This rating is a reflection of how the property compares to the industry standard when it comes to price, facilities and services available. It's based on a self-evaluation by the property. Use this rating to help choose your stay! 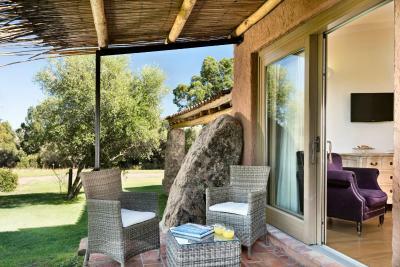 One of our top picks in Arzachena.Stazzo Lu Ciaccaru is a complex of characteristic Sardinian rural dwellings which have been restored to create beautiful suites in a relaxing, natural environment in the heart of Arzachena. WiFi is free throughout. 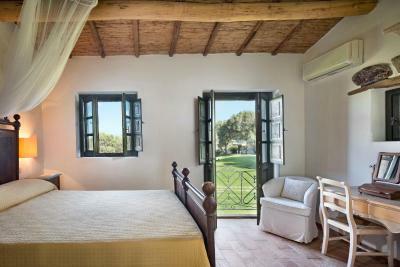 Close to the stunning seas of the Costa Smeralda and within reach of Northern Sardinia’s archaeological sites, Stazzo Lu Ciaccaru lies in 32 hectares of beautiful scenery, ideal for pleasant walks. Back at the hotel, enjoy a swim in the large pool or dine on delicious local dishes in Stazzo Lu Ciaccaru’s welcoming restaurant. 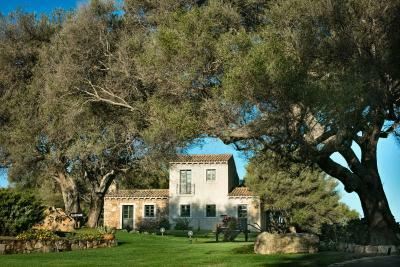 The hotel can also organize trips to La Maddalena archipelago or to Corsica on a beautiful 46 foot yacht. 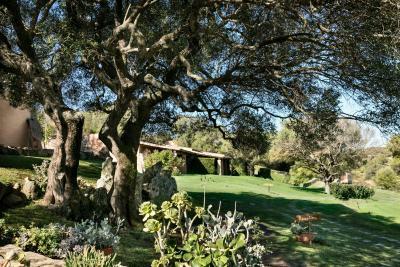 This property also has one of the top-rated locations in Arzachena! Guests are happier about it compared to other properties in the area. 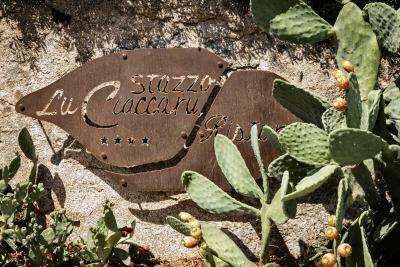 When would you like to stay at Stazzo Lu Ciaccaru? Offering a furnished patio, the superior room has country-style decor and offers views of the pool and surrounding countryside. 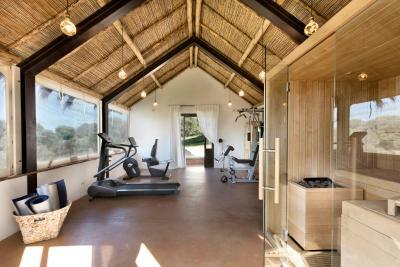 It features air conditioning, satellite TV and free internet. 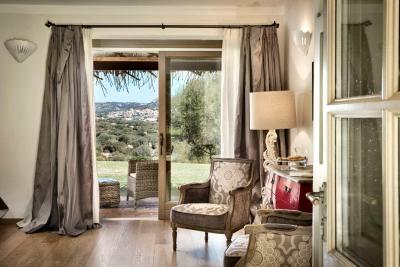 Overlooking the pool and surrounding countryside, this spacious suite has country-style decor and a furnished patio. It features 1 bedroom and a living area with a sofa. Air conditioning, satellite TV and internet are included. 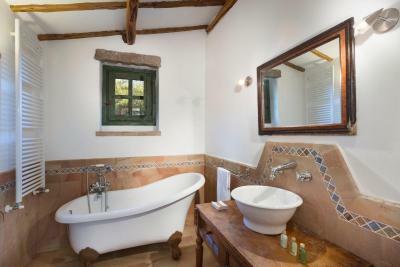 Large suite with separate lounge, bathroom with shower and a large veranda. 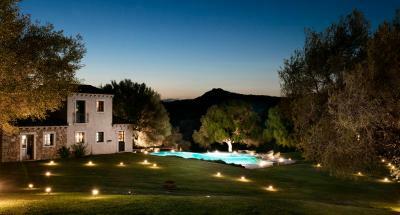 A villa with 3 bedrooms, each with private bathroom, and exclusive use of private pool. This large villa has 3 bedrooms, a lounge, dining room and 2 bathrooms. One includes a spa tub. 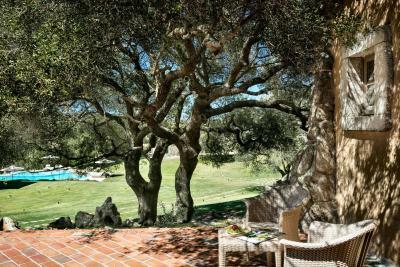 With country-style furnishings, the spacious junior suite is air-conditioned and has a private porch with lounge chairs. It features an LCD TV, minibar and free internet. With a furnished porch, this large suite has 1 bedroom and a living room with 2 single beds. 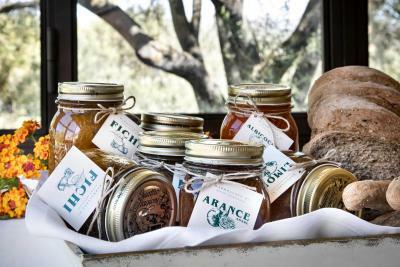 With country-style decor, it features a minibar, flat-screen TV and free internet. House Rules Stazzo Lu Ciaccaru takes special requests – add in the next step! Stazzo Lu Ciaccaru accepts these cards and reserves the right to temporarily hold an amount prior to arrival. Nothing. 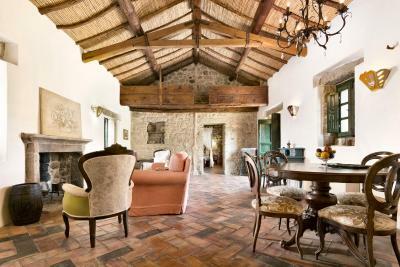 The best hotel where we stayed in Sardinia. Wil definitely come back! Food and drink was a bit over priced. Nothing really. Would stay here again for sure. 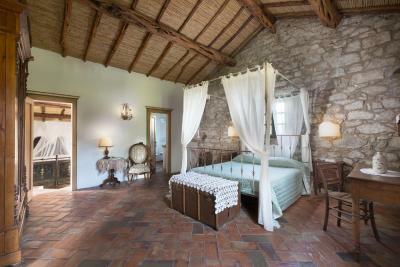 Beautifully renovated ‘stazzo’ accommodation. It felt lovely to be away from the hustle and bustle of some of the nearby towns, but you were close enough to visit the surrounding areas. 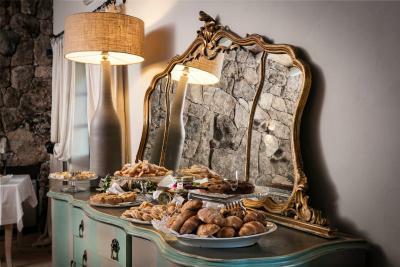 Breakfast was superb, with amazing fresh fruit, cakes and hot selections. 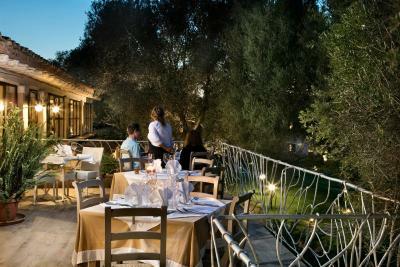 We are at the restaurant twice and the food was generally good, but not our best meals in Sardinia. It was much better though than a nearby country resort that we ate at. Great and relaxing stay. Superb setting with great views, nice pool, comfortable rooms, extensive breakfast buffet and very friendly staff. Staff is very accommodating and pleasant. The restaurant team is exceptional. Restaurant closed most of the time, with no options nearby. Beautiful property. 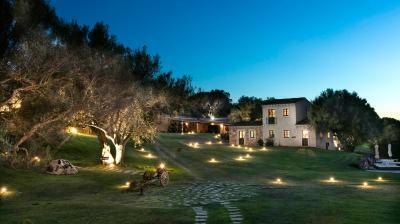 Great as a base for exploring the Costa Smeralda area and for returning to relax. Good restaurant. Huge breakfast. And staff are very helpful and welcoming, especially Francesca.